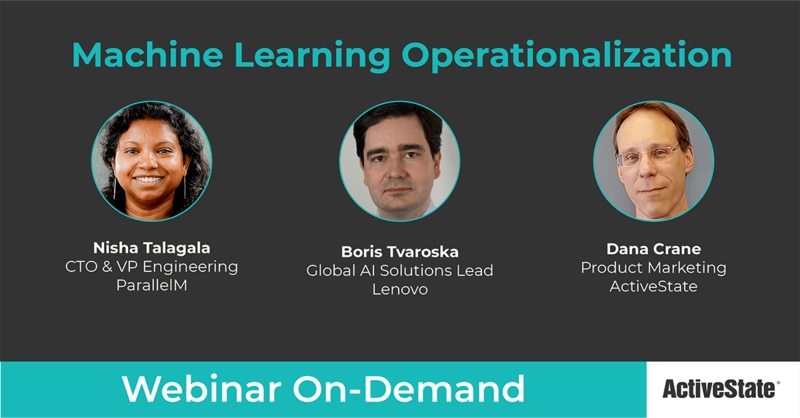 This webinar covers the last mile in your ML deployment, in other words, machine learning operationalization. We cover DevOps-style practices for the specific deployment and management of machine learning in production, MLOps. MLOps practices include cultural and technical aspects to successful operationalization of your ML. DevOps is the convergence of developers and operations. MLOps expands this group to add data engineers and data scientists. Combined, these four personas generate a set of requirements, constraints and pacing that may be at odds with one another. Successful MLOps practices need to satisfy each the needs of the business as well as the regulatory, security and compliance requirements of the organization. This difficult balance is a tenuous one that requires DevOps to expand to an MLOps mechanism. It is exactly this evolution which we explore in this webinar. Nisha has 15+ years of expertise in software development, distributed systems, I/O solutions, persistent memory, and flash. Prior to ParallelM, Nisha was a Fellow at SanDisk and Fellow/Lead Architect at Fusion-io, where she drove innovation in non-volatile memory, in particular the industry’s first persistent memory solution. Nisha earned her PhD at UC Berkeley with research on software clustering and distributed storage. Nisha holds 54 patents in distributed systems, networking, storage, performance and non-volatile memory. Boris Tvaroska is an international executive with more than 20 years of technology consulting and pre-sales experience. His areas of expertise include project and program management, product management and development, software development management, machine learning and neural networks, natural language processing/bots, and public and hybrid cloud. Responsible for the go to market function at ActiveState, Dana has 20+ years of experience crossing (and falling into) the chasm, as well as capitalizing on (and being disrupted by) innovation.